According to the ancient Greeks, the ideal male physique should have these measurements: the arms should be 2.5 times the circumference of the wrist, the calves 1.9 times the ankle size, the thighs 1.75 times the knee, the shoulders 1.6 times the waist, and the neck 2.5 times the wrist. A man's build should also be athletic and lean. The Greeks believed in these proportions for three reasons: to perform athletically and in battle, to live a long time with good health, and to be attractive in order to pass along genetics. I can't argue with these goals. They seem to reflect what many gym-goers want for themselves: a body that looks, feels, and performs better. In order to achieve the Greek ideal, you need to follow some of their fitness and lifestyle principles. Here are five of them! The ideal physique can't be built unless your eating habits support the necessary body composition. You only need a maximum of 10 percent body fat to reach that Greek ideal for size, strength, and symmetry. That means you can't eat bags of potato chips and expect to look like Achilles. 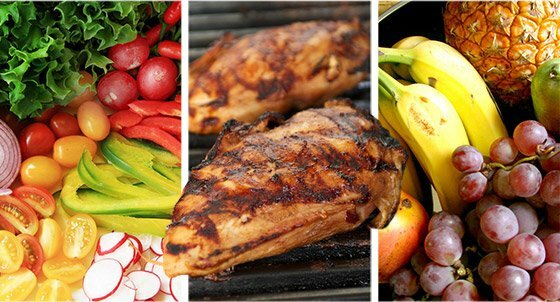 Your diet should consist of lean meats like fish and poultry, plus vegetables, fruit, healthy fats, and plenty of water. Call it paleo, call it the Mediterranean diet, or call it whatever, but your diet should consist of lean meats like fish and poultry, plus vegetables, fruit, healthy fats, and plenty of water. A diet plan like that is the best way to fuel your body for performance and muscle growth while carving off any excess baggage. The ancient Greeks didn't have health clubs with fancy machines. Although there is debate whether they actually invented the barbell, plenty of evidence has been found that ancient Greeks picked up heavy objects and walked or ran with them, and even threw them. You don't have to walk around with a giant rock to attain the Greek ideal. Instead, make big compound exercises like squats, deadlifts, presses, pulls, and weighted carries the backbone of your training program. Those movements are designed to improve your size, strength, symmetry, and overall function. Make big compound exercises like squats, deadlifts, presses, pulls, and weighted carries the backbone of your training program. We tend to care too much about the muscles we can see in the mirror. Most guys spend too much time on their chest, shoulders, biceps, and quads. Achieving the ideal Greek measurements will be a lot harder if you only train the front side of your body. Moreover, we tend to use the anterior muscles more often in everyday life, so most of us are already asymmetrical before we even step into the gym. I propose using a specialized training program for the muscles on our posterior side. For every two chest, shoulder, and quad exercises, perform three back, calf, and glute/hamstring exercises. 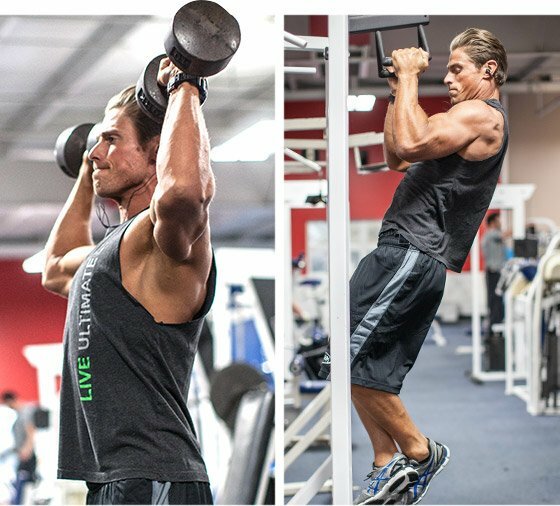 For example, if your weekly training program includes the bench press, incline dumbbell chest press, dumbbell overhead press, dumbbell lateral raises, squats, and lunges, add suspension body rows, dumbbell bent-over rows, chin-ups, pull-ups, deadlifts, dumbbell reverse lunges, sliding leg curls, and calf raises. Adding exercises to train your back half will not only help you look better, but your posture will improve, your back will be healthier, and your performance in and out of the gym will increase. Perhaps we can take the ancient Greek tale of Pheidippides as a warning. According to the legend, Pheidippides ran about 150 miles in a day and a half to aid Sparta in their fight against the invading Persians. He then ran another 26.2 miles from the battlefield of Marathon to Athens to announce the victory. On the completion of his mission, Pheidippides uttered "nike," meaning victory, then collapsed and died. Maybe it's just a romantic tale, or maybe the Greeks recognized the catabolic effects of long-distance running. Whatever the case, we can learn from Pheidippides. High-intensity interval training (HIIT) is the best way to improve performance and decrease fat mass. Low-intensity cardio—activity that doesn't labor your breathing too much—can improve aerobic abilities and aid in recovery. Too much activity in the middle, especially when you're on a diet, can lead to the loss of lean muscle tissue and overstress the body. Although the measurements for the ideal Greek physique can provide some amazing insight into symmetry, I would caution against using them early in a training program. People just beginning the type of exercise and lifestyle needed to achieve these proportions will see their body go through many adjustments in the first six months to a year. Using these exact measurements too early may be more discouraging than helpful and inspiring. Instead, hold off on really trying to achieve specific measurements until you're close to your goal, and then use the information to adjust your training program if needed. Think of your body as a sculpture. You first have to carve a general shape from a block of stone before you chisel the fine details. "How has technology helped you succeed?"